Sometimes it takes another set of eyes to look over your investment portfolio and point out aspects that can be improved upon. Jason Hartman and client Doug discussed real estate portfolio reviews and makeovers, as well as why investors should stay in the game for the long-run. They also covered reasons why passive investments do not inspire learning or development. Muthiah also returned for Part Two of his interview, completing the story of how he came out on top in the battle he had against a bad seller. He explained how he filed a claim and got restitution after a failed attempt or two. Hartman also mentioned upcoming events, the opportunity to meet personally with him for real estate portfolio reviews, and the Hall of Shame resource list that he developed to help clients file complaints against bad providers or managers. Jason Hartman announces that the 1000th episode is just around the bend, and being that it is a 10th episode show, it will cover topics unrelated to real estate investment. Colbie Caillat, a famous singer and songwriter, is going to be the 1000th episode guest. He adds that recently there was an issue with the iTunes feed last Friday, and he offers his thanks to the listeners who reported the problem. The attention paid is much appreciated, and the issue has been fixed. As part of one of the fixes, not all of the episodes show up in the iTunes feed, but they’re available on www.jasonhartman.com. New episodes are posted every Monday and Wednesday, and flashback episodes are posted on Friday. This is a two-part episode where the second half of the interview with Muthiah will be played. It’s a client case study on overcoming challenges. Speaking of overcoming, Hartman mentions something he created many years ago, the real estate portfolio review and the portfolio makeover. He explains that he’s bringing them back in a better version, and if you’d like to meet with him in Philadelphia the Sunday after the May 19th Creating Wealth seminar, he will be conducting individual, private portfolio reviews and makeovers. Doug, the guest for the first half of the episode, has taken and improved the spreadsheets and tools used for portfolio makeovers dramatically. Doug explains that he first discovered the podcast in 2008 and bought his first property in 2009. He adds that he had a few biblical disasters in the beginning, including a tenant that damaged his property. Hartman states that investment properties are not a free ride. If someone ever states that there is such a thing as a passive investment, they’re lying. There is no such investment. There are things that are easier than others, and that’s what real estate investment is. It’s the most historically-proven asset class in the world. Doug mentions that things started working well, despite the fact that he sputtered for a while. He has made a comeback and states that the new review process is something that he’s running both for other people and for himself. Hartman explains that what saddens him about Doug’s past issues is that when he had his problems, he got discouraged. He had both a bad property manager and a bad tenant. Hartman advises listeners to get rid of their bad property managers and try self-management with the hybrid approach. It’s the way to go and much easier than dealing with the middleman. Unless the property manager is great, get rid of him. He notes that when Doug had his challenges, they happened just as the market was turning out of the recession. He ended up selling one of his properties and stood to make some money on it had he held on. Doug adds that there are two perfect times to plant a tree, twenty years ago and now. He states that if he could go back in time, he’d have bought Bitcoin and picked up more properties. Hartman recalls when the two of them were on stage in Irvine, CA years ago and talking about Bitcoin. At the time, most people didn’t know what it was, and the price was at $70. He clarifies that he doesn’t recommend investing in cryptocurrency or speculation, but if an investor wants to gamble with 5% of their net worth, they could stand to do so without having a big effect if the outcome is negative. Hartman states that one thing that helps cure the human condition is the portfolio review and makeover. As we go through life, we get our emotions tilted. If we have a bad tenant or property manager, it upsets the apple cart, he says. Doing the math can help us stay on track. People who have invested in real estate are still winning when bad things happen. If you do the math, it’s easier to see that you’ve still won. It’s important to consider “compared to what”. Compared to S&P that only makes about 8% tops, real estate investment is doing a lot better. Doug adds that with S&P, if you could make a miracle 15%, there’s still a chance of a correction later, and when that occurs, all of your gains won’t mean anything anymore. He states that one important thing about having a real estate portfolio review is the opportunity to redistribute equity, which redistributes risks. The more you’re able to dissipate your risks, the more you’re able to insulate yourself for when a disruption happens. Weird things are going to happen, he says. You’ll have times where everything is okay, and then there will be both great victories and bad experiences. If you get discouraged when things go wrong, you won’t be in the business long enough to win. Hartman explains that our minds are predisposed to negativity. If you have a portfolio of ten to twenty properties and only one or two of them aren’t doing well, it derails the whole plan. Even if the rest of your properties are doing okay, some may even be doing great, we notice the ones that are performing poorly. It’s the way our minds react to things, he says. This is why doing the math and looking at the pro formas works. It grounds us. Doug mentions that any time you’re doing something passive, if you’re a buy and holder and you place a bit of money into S&P and it rockets up, that’s great. What have you learned that you can repeat, though? Nothing. All you’ve done was get lucky. A great thing about active investments is that you can learn how to make good decisions. You can repeat those good decisions. Being passive does not help you learn anything or gain any experience. If the market goes down, you won’t have any recourse. Hartman likens this to playing a sport versus watching it. If you’re watching, you can’t do anything about the outcome. Your team will either win or lose. If you’re playing, you’re engaged and learning how to change your strategy. You can become a better person by playing, but you don’t improve at all by watching. Wrapping up this portion of the episode, Doug states that in his next interview he wants to cover the idea of return on equity, as well as the use of some of the tools big finance companies use to improve their portfolios. Learn about them to make yourself wealthy instead of big corporations. This year’s only Creating Wealth seminar is set to take place in Philadelphia on May 19th, and the following weekend, Memorial Day weekend will host the Venture Alliance trip in New York City. For more information or to get your tickets for the events, visit www.jasonhartman.com/events or www.venturealliancemastermind.com. Opening into Part 2 of the interview with Muthiah, Hartman states that he has had property managers where years have gone by and they have not taken any additional deductions aside from their normal fee. There have also been others who want to deduct here and there constantly for little things that probably don’t need to be deducted. He explains that his mother, who has been on the show several times in the past, manages all of her properties by herself. She has her tenants agree to fix basic issues around the home. Hartman adds that when you self-manage as an investor, you have the opportunity to speak with the tenant and set your expectations. Explain to them that they aren’t living in a complex. This is their own single-family home, and though they don’t own it, they should think like a homeowner and maintain the property to a degree. The landlord is not going to change the lightbulbs for them, as that is something they can get involved with to fix alone. Muthiah states that some property managers put out a video on what tenants are expected to do, and it covers basic things. The tenant signs off when they’ve watched the video, agreeing that they’re responsible for what was covered in the video. He adds that he likes Hartman’s mother’s method because she doesn’t put up with any nonsense and makes her expectations known right away. If the rent isn’t received on the first, she is going to send out the three-day notice. She has standards, and as such her tenants take her seriously. Hartman explains that the more he works in this business, and he has been doing nationwide turnkey business for fourteen years, the more he sees an inherent conflict of interest with property managers. If you’ve got a great property manager, that’s wonderful, but few of them are. Some are okay, and some are awful. When asked if he has ever tried self-management, Muthiah states that he has twenty properties as of now and has never self-managed. Before he became a single-family investor, he had a condo that he tried to self-manage and didn’t like it. Hartman mentions that he self-managed when he was a local investor and then did the same with his long-distance properties. He has never had any tenants come over screaming or never had calls at 1:00am. He recalls having one interesting tenant in the 1990s by the name of Hugo. He lived in Santa Margarita and wore a Members Only jacket. He was always late on his rent and always had an excuse, but he was such a funny person. Around the 5th of the month, he would always hand in his rent check, and the situation was ultimately okay. Hartman mentions holding people accountable for their actions. When you’ve got a bad actor and out of thousands of transactions you’re only going to have a few, you’ve got to hold them accountable. There are bad people out there, and there are also people who are good for a while, until they become bad. He reminds himself of something that Napoleon used to say, that the most dangerous moment comes with victory. We start missing things when we’ve succeeded. There are going to be victories but it’s important to never become complacent. The property managers often get successful and they forget to appreciate it. This is part of human nature, and while it isn’t a good thing, it happens. Hartman states that he sent out a Hall of Shame resource list and notes that it’s available on www.jasonhartman.com. Listeners can simply fill out a form or ask their counselors for the list of agencies that can be used to file a complaint for free. While it isn’t a comprehensive list, it’s a good start. These free regulatory agencies are what we pay our taxes for. It’s our duty to report these people. The agencies will send a letter, telling the provider or property manager to fix the issues. Though they might not pay attention to the first complaint, as the complaint list grows, the agency will come down. It may not help you directly, but it will help the next guy. Hartman adds that there are also online courts like People Claim. He states that he is also working on a project with www.freecourt.com. Muthiah filed his claim through People Claim at Hartman’s recommendation, as well as filing an administrative complaint. Muthiah explains that based on Hartman’s suggestion, he filed a complaint with the Alabama Real Estate Commission. They investigated his claim, but they’d apparently already shut this company down. They stated that they couldn’t take further action because the company was working under a different entity. Hartman mentions that we need to re-examine the ways that people are allowed to use entities as a way to rip people off. Muthiah continues by saying that right after this company was fined and suspended, they changed the name of the company and continued to do business in Alabama. He explains that he went to www.peopleclaim.com and filed a case. The people at the site offered to help him, and he kept updating his complaint as time went on. From their end, People Claim posted negative reviews for this company. Eventually, the company offered to buy the property back from Muthiah, plus the cost of damages he paid for, and the closing costs. He got all of his money back. Hartman states that this case worked through People Claim, and it might have worked through the regulatory agency as well. The property managing company was shut down because of someone who issued their complaint before Muthiah did. Muthiah explains that the regulatory agency knew the reputation of the property managing company and that they had unlicensed agents selling properties and making promises. The complaints added up, and because someone complained before Muthiah did, his complaint put more pressure on the agency to act. Hartman reminds listeners to be empowered. He explains that Muthiah spent a lot of time on his issue, but you don’t have to. He encourages listeners to file complaints with any of the agencies on the resource list, so something is being done about them. Hold bad actors accountable, because it isn’t just for you. It’s your duty as a citizen and good Samaritan to report. Muthiah agrees, stating that sitting passively isn’t helpful. Be active and involved at all times rather than sitting back and thinking that things are going to be fine. 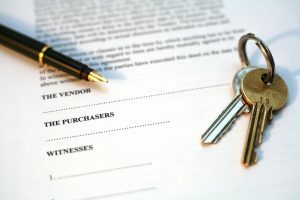 Ending on a positive note, Muthiah adds that there are still a lot of good sellers and property managers on the market. A couple of them are bad, but there are very good people in the business. When people are hungry, they will do their very best to provide good service. When they fill up, they get lazy. Hartman states that when he notices a provider getting too busy for clients or doing something bad, he looks at how they handle a situation. When something happens, it reveals a person. People are like teabags, he says, you don’t know how strong they are until you put them in hot water. Sometimes something goes wrong, and he will either sever ties with these providers or put them in the penalty box.